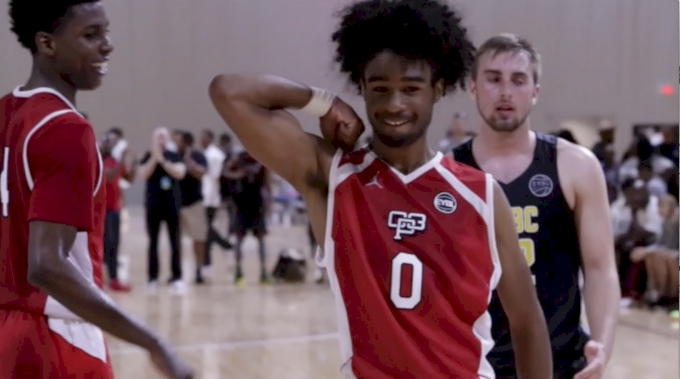 There may be players with better numbers or a higher ranking, but everybody in the gym knows the name Coby White. The Team CP3 (NC) point guard has made sure of it. Whether it is running the break, splashing a 3-pointer, or dunking on anyone who dares jump, the 6-foot-4 North Carolina commit for 2018 has been one of the top stars in the entire Nike EYBL and continues to impress each time he steps on the court.